® CIP Systems (Clean In Place) are engineered to meet your expectations. 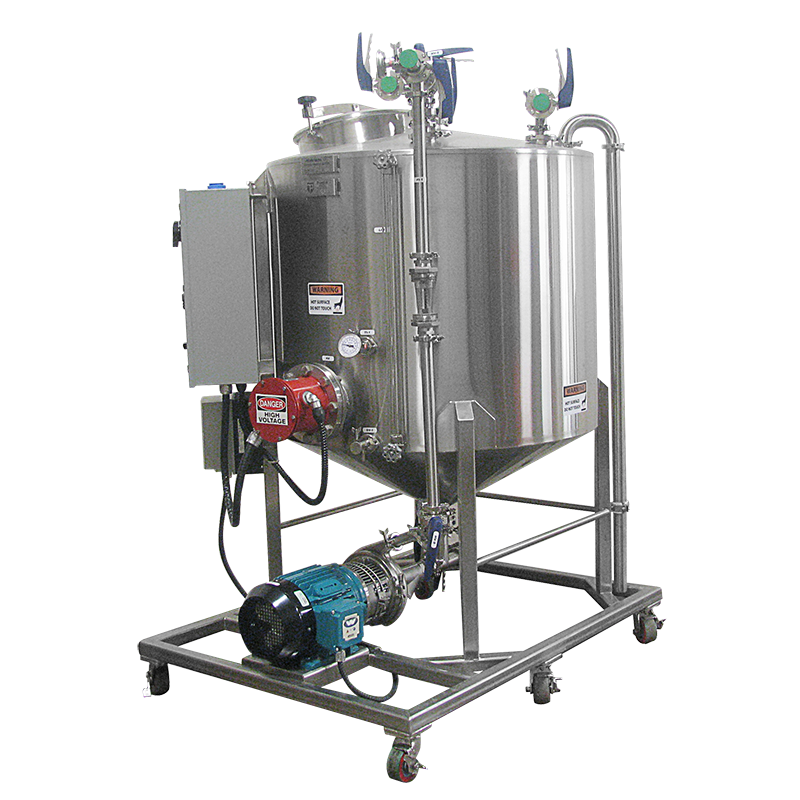 Our superior quality, low maintenance CIP systems are thoroughly inspected and tested prior to shipment. Haleson technical team will help you select the right CIP system for your exact application. Our staff is dedicated, courteous and will offer you their expertise in a win-win spirit. ® CIP Systems (Clean In Place) are designed for general food, beer, wine, beverage, dairy, chemical, pharmaceutical, cosmetics, aseptic and other hygienic applications. High efficiency: Efficient and thorough cleaning, increased plant up-time, low operating costs, minimized wastewater. Multi tank designs: 1, 2, 3 tank designs and several sizes are available. Compliant materials and designs: 3A and ASME BPE compliant materials and finishes. FDA compliant gasket materials. ASME, UL and Canadian CRN, CSA, CUL requirements will be met as per customer demand. We keep our promises: We will not make promises that we cannot keep. We will provide you the system that you need ON TIME at a FAIR PRICE. Spare parts: Haleson maintains a very large inventory of sanitary components, such as pumps, motors, valves, actuators, gaskets, fittings, clamps, instruments. We will make sure you receive on time delivery of your replacement components for several years down the road. 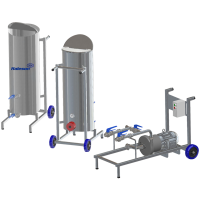 ® Typical modular & mobile CIP system. Plug and play design. Can rapidly be moved within your plant by a single person. Very much $ affordable. Compact and lightweight design. 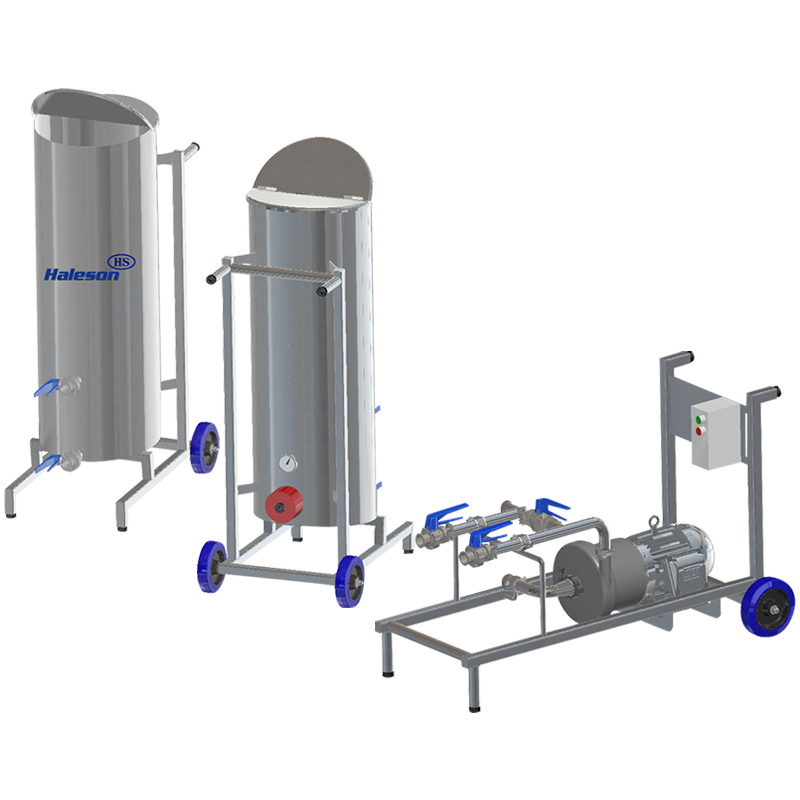 The modular design allows the CIP system easily to expand capacity. Basic 200 liters (55 gallons) unit $US 8750.00 ($CDN 11,000.00) approx. Options available see PDF. Adder for 2nd 200 liters tank & cart $US 3750.00 ($CDN 4700.00) approx. Plug and play design. Can rapidly be moved within your plant on wheels or by fork lift. Compact and lightweight design. Very much $ affordable.